Review Summary: Reminds us of the good old days of Vaastav. Critics this one is certainly worth skipping! 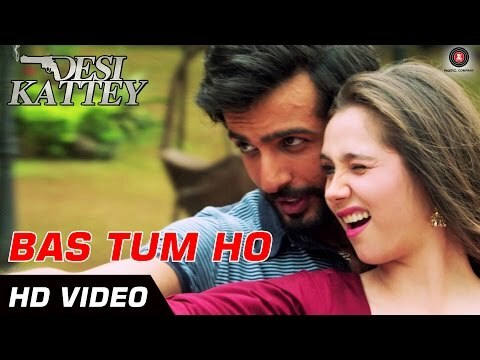 Desi Kattey is one drag of film that pretends to be a potboiler but ends up being a Gunday look alike gone wrong. I am not sure such films should be reviewed even. I bore through enough pains to write it and hence I feel too tired for stars. 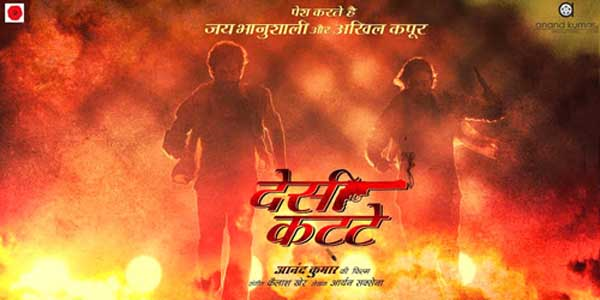 A great example on how to make a good idea go kaput, Anand Kumar’s ‘Desi Kattey’ on paper looks like a promising high voltage inspiring dynamite about the life of two sharpshooting thugs where one becomes a competitive shooter while his childhood friend gets rotten in the life of crime, is loaded with banal, mundane and inane execution making this utterly formulaic exercise a chapter in sheer boredom. Earthy, robust and virile, Desi Kattey is the macho 'gun gaan' that fans of Anurag Kashyap and Sanjay Gupta's cinema would identify with. If you like stories about boys on a rampage, this one will make your heart swell with manly pride. I wonder if the team that created this film did it the same way - with their eyes half-shut.